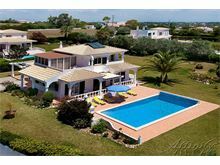 Casa Concita is a delightful family home within an easy walk to a local café and a couple of restaurants and approximately 15 minutes walk from the beach at Algarve Club Atlantico. The well maintained gardens are mainly grass with mature palms and shrubs, and there is a built in barbecue, dining facilities and pool shower to complete the outdoor living feel. The interior is bright and comfortably furnished making this house an ideal holiday villa for those who enjoy the convenience of a private home, with some facilities within walking distance. Hall, guest cloakroom, sitting room with TV, DVD and CD, dining area, fully fitted kitchen with dishwasher and microwave, utility room with washing machine and tumble dryer. 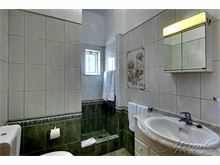 1 shower room, 1 double bedroom and 1 twin bedroom, each with patio windows leading to terraces. 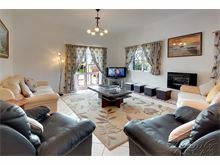 Upstairs to master double bedroom with en suite bathroom and walk in shower, large terrace with views of the sea. Maid service 3 times per week. Pool heating is available at additional cost, if required. We stayed at Casa Concita in May 2018 and had a lovely time. Well worth paying to have the pool heated, it was so warm. The villa was very comfortable and well appointed. I wouldn't hesitate to recommend this villa. Casa Concita was a perfect holiday destination for our family. The pool was the highlight, a good size for swimming in and generally cooling down. We didn't hire a car and were content to potter the small distance to the local restaurants, bars and supermarkets. Highlight restaurant was Chicken George, a real Portuguese experience! The coast path was the best way of accessing various beaches and getting some exercise at the same time. Overall the villa was a great place to stay, chill out and generally get away from things. The best part about this villa is its location, views and outdoor space! The outdoor space (gardens pool, terraces and bbq are beautiful! 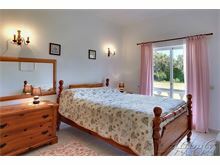 The beach and coastal paths are just a stroll down the road, its very quiet and has excellent sea views from upstairs. There are also excellent restaurants just a 5 minute walk away. The pool was cleaned and treated every few days and a maid visited to clean every few days which was much appreciated. Would recommend car hire to get the most out your stay but you could easily have a very relaxing an enjoyable stay without one. Thank you for a great week! We enjoyed a lovely week staying at Casa Concita. The villa was clean and provided everything needed for a holiday in the sun. The gardens were well maintained. We especially liked the layout the French doors from the villa led onto the patio which overlooked the pool. The bedrooms where bright and sunny our five year old liked the children's books and games provided. We had one problem the lack of umbrellas poolside this was sorted out quickly by the house manager. We have used Affinity Villas about 7 times in the last five years and have always been more than satisfied with the service they have provided. This villa was excellent. Fantastic sized pool which we arranged to be heated thankfully and loads of space inside and out. 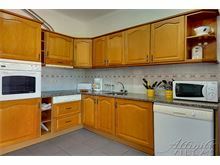 Approx.5 euros in cab to town or walk to nearby restaurants and supermarket. We really enjoyed our stay at Casa Concita. 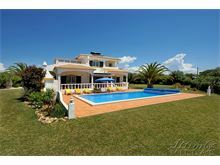 The villa was very clean and comfortable with lovely outdoor space and a large swimming pool. 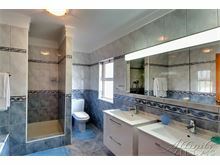 The location is quiet and private with a shop and several restaurants within walking distance. Nice coastline walks and small beaches nearby. Car hire was useful to explore the area further. We would definitely come again. 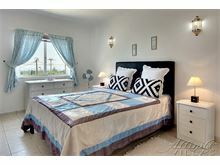 Casa Concita is superbly located within walking distance to restaurants, beach and the lighthouse for Ammonite hunting! What a wonderful surprise to have a villa that exceeded expectations! Location was perfect, we could walk to restaurants every evening, and it was so lovely to use a pool every day that was bathed in sunshine and private! We weren't overlooked, the grounds were perfect, and our maid was wonderful. We have now been back on the website to look at booking next year! The villa was very clean and comfortable. Had everything required in the kitchen and it was good to have choice of videos, tapes and books. More than enough sun beds and chairs by the pool. 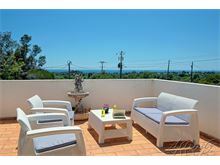 Situated on a good site with great views and easy to walk to a small selection of restaurants. Close enough to main resort of Carvoeiro to use a taxi on the odd night out if you didn't want to drive. Some lovely walks in the area as well. We stayed at Casa Concita last year and we were not disappointed going back. 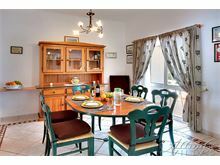 We find the villa ideally situated, walking distance to some bars and restaurants and a short taxi ride to the bigger resort. The restaurants near by are all very good and we had a great time. The "local" bar is handy to get a drink and book a taxi and the staff are so helpful and friendly. The villa itself is lovely and peaceful. The cleaner is friendly and helpful. Great time, great place. 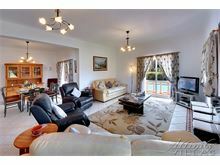 Lovely location, spacious grounds and good size pool which gets the sun all day. 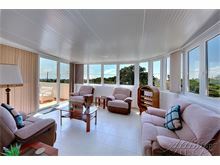 Car needed but walking to beach and a couple of restaurants is possible. We have stayed at Casa Concita before and love the villa, the area and find the restaurants near by extremely good. Lovely walks. The villa was perfect and just how Affinity Villas explained it to us. There service was faultless and very professional. Its in a lovely quiet place with sea views. There are 3 beaches near by ranging from 20 mins to 50mins walk. And Carvoeiro town centre is a good 50 mins walk up a lot of rather steep hills. I will be booking this villa again for sure.